Despite more than three decades of empirical evidence from sociological and anthropological research that clearly shows that culture plays a significant role in the healthcare decision making process within Latino society, Latino cultural beliefs still remain the least understood among service providers in the American health care delivery system. This is in part due to the fact that the U.S. government has failed to support the development and implementation of public health policies that have the ability to adequately address disparities in the way health care services are delivered to Latino Americans. The importance of Latino cultural beliefs in health care and our failure to fully understand or incorporate them into the clinic setting, and our general lack of attention to culture, has greatly impaired our ability to deliver appropriate health care to the Latino population in America. For the most part, medical education in the United States has failed to meaningfully and systematically incorporate curricula intended to explain the unique cultural factors affecting Latino populations. The issue is further complicated due to the fact that the Latino population consists of persons who are both native-born and foreign-born. A large part of the growth of the Latino population is due to immigration. Such, immigration leads to a diversified array of home-based cultural beliefs not understood by or even heard of by the American health care delivery system. As our global society grows smaller and more culturally diverse due to globalization and migration respectively, health care providers are becoming increasingly cognizant of the need to develop public health policy that speaks to and advocates for the implementation of culturally competent care for Latino patients at both the local and national levels. Healthcare professionals also know that the cultural beliefs and practices of the Latino patients they serve play an important role in governing their help-seeking behavior. Therefore, it is essential for them to develop a clear understanding and heightened awareness of the significance of culture in the Latino community if they are to be able to deliver quality health care services to patients in a multi-cultural environment. Latino populations in the United States are growing more and more diverse and yet questions such as “should culture play a role in the health care delivery system?” and “should healthcare professionals be concerned about mastering cultural competencies in their practices?” continue to be asked and not addressed. Throughout the literature on Latino health care, the resilience and cohesiveness of the Latino family have been identified as a distinguishing feature. Latino families impart cultural beliefs and serve as a critical safety net for their members. The socialization and enculturation process that takes place within Latino families serves to further complexities in the health care delivery system in this country. For example in treating Latino families, it is important to involve the multi-generational extended family at every stage in the healthcare delivery process. Family members often accompany one another to a provider’s office, especially when treatment is invasive or out of the ordinary. As is true for the general population, within Latino communities, women most often seek health care services. In extended families, female heads of household, especially grandmothers and great-grandmothers are generally the individuals most involved in helping patients make the decisions that are best for them. It is these matriarchs who are responsible for the interpretation of family issues concerning sickness and health. Therefore it is essential for health care providers to give recognition to this important facet of Latino cultural competence and learn to draw upon the knowledge of mothers and grandmothers in their office setting and at the bedside. Another facet that health care providers need to understand is the concept of the multi-generational Latino family. Analysis of social and demographic trend data from the 2010 census conducted by the Pew Research Center suggests that the number of multi-generational family households in the United States is on the rise particularly in areas of the country with expanding immigrant populations. Census data indicates that in 2008 49 million Americans were living in multi-generational households comprised of at least two or more generations of family members. The research also shows that multi-generational family units are most common among racial and ethnic groups where there exists a cultural preference toward this type of living arrangement. For example, among Latinos the census data reveals that 48 percent live in three-generation households, 47 percent live in two-generation households, and 4 percent live in skipped generation households made up of just grandparents and grandchildren with no parental generation in the family unit. Similar findings were also noted for other racial and ethnic minority populations such as Blacks and Asians who also have strong multi-generational cultural bonds to the family. Therefore it is evident from these findings, that the multi-generational system of family support represent a valuable cultural tool that health care providers can use to maximize patient compliance through the incorporation of family members into the medical decision-making process. Furthermore, families often play a role in perpetuating the belief that when an illness befalls a member of the family it is predetermined. When a family member falls ill, many Latino families seek to find a balance between biomedicine and alternative forms. The family will assist the patient in finding a treatment that is the ideal balance. 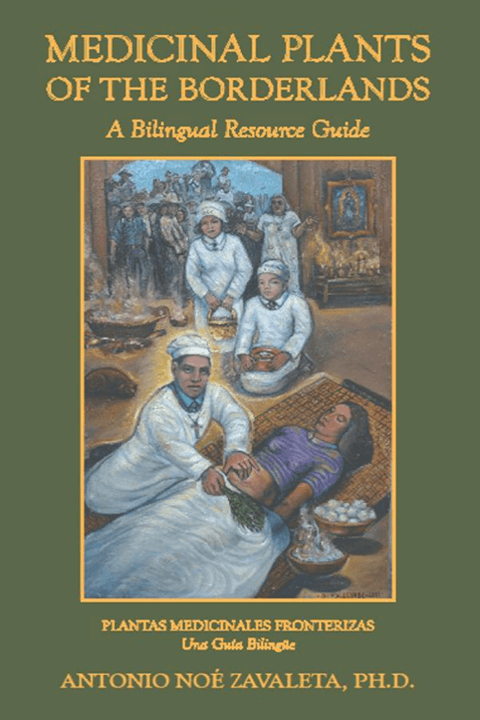 Folk-medicine and folk-religion continue to play a major role in the paradigm of health and illness and in the delivery of healthcare in Latino culture. In the early 1980’s, children of migrant and seasonal agricultural families were being brought to clinics in the United States. Mothers were treating colicky stomachs with a popular folk remedy called greta or azarcon for upset stomach or empacho in Spanish. This folk remedy is readily available at neighborhood stores on both sides of the Texas-Mexico border and is available there to this day. The folk-remedy was then spread by migrants across the Midwest. Ultimately, the chemical analysis determined that this substance was 99% lead oxide which caused severe mental retardation and death, in otherwise healthy children. This realization triggered a massive effort to remove it from shelves and homes, as well as the development of health education materials for both parents and providers. As a result of this intervention, providers in the nation’s migrant health clinics learned to pro-actively ask mothers about the cultural remedies they give their children. Through the work of health educators and networks of community health workers called, promotoras de salud, the message was delivered and the problem has been contained, yet never completely solved. In the last few years, the problem of lead oxide poisoning has recently resurfaced in the Latino immigrant and migrant populations in Houston and other cities. In Latino culture today, traditional religion and folk religion coexist in the health care delivery system. Many positive and supportive culturally-based alternative therapies are proven effective, and their use is encouraged. Visits to community-based cultural providers sometimes called curanderos/as is a proven effective first-line intervention for primary care. In thinking about folk medicine, it is important to consider the global context. Throughout Latin America, native belief systems have commingled with folk-religion and folk-healing systems, driving innovative alternatives to modern health care delivery systems. These alternative therapeutic models can provide a valuable knowledge base that healthcare providers in the United States can look to for guidance when designing effective treatments for their Latino patients. Understanding the significance of cultural models of healing will give providers a knowledge base that will enable them to systematically integrate biomedicine with alternative medicine in a complementary fashion that best serves the physical and mental health needs of the Latino community in a culturally competent way. The physical and emotional health problems characteristic of Latino populations in the United States continue to be unique and present very real challenges to the health care delivery team that does not understand them. This fact provides an important opportunity to assess and address these challenges within the context of both science and culture. The phenomenon of folk-healing known as curanderismo is not diminishing with the availability of modern health care modalities thought by some. It is not diminishing in the United States or any place in Latin America. The movement toward culturally informed health care delivery systems must, therefore, take into consideration the reality that cultural factors play a role in our attempt to produce a healthier Latino population. Additionally, increased knowledge and understanding of native alternative health care delivery systems will assist us in addressing the continued problem of lack of resources as well as to deal effectively with continued in-migration from Latin America and especially from Mexico. Today’s health care delivery system in the U.S. is faced with heretofore unknown health challenges which must be addressed as public health concerns and treated effectively by incorporating what we have learned about culture and science. Untreated chronic illnesses in Latino populations continue to rank high as unmet health needs, affecting the entire population and the economic viability of the nation. Lack of support and treatment networks for physicians continues to be a problem in the nation, especially along the larger metropolitan populations. For example, there are more Latinos in Houston than along the entire Texas-Mexico border. Lack of physician understanding of the cultural realities of Latino populations must be addressed if we are to be successful in improving their health care and health status. Significant issues such as the continued health manpower shortage, provider-patient ratio and interest in the training and coordination of culturally trained outreach and clinic workers are critical. The development of networking and community-based coalitions continued cooperation with Mexico through cross-border regional planning programs, and more health education will only be effective if culture is taken seriously. It is important to understand both the patient language as well as their culture. It is important to include the family in health care deliberation as well as the community in health care delivery systems. It is critical to listen to what the people are saying about their health care needs as well as for health care providers to avoid making stereotypic value judgments about peoples beliefs. In the United States today, the use of complementary and alternative medicine (CAM) is commonplace, and not just among the ever-growing minority populations. More than a third of American adults report using some form of alternative therapy, and the total number of visits to alternative providers each year now exceeds visits to primary-care providers. In most other parts of the world, the magnitude of alternative therapies is even greater. The way in which alternative treatments are learned is also culturally based. Family members confer with one another and friends confer with friends about alternative therapies, and remedies, for specific health problems. One of the realities that we face today is that alternative therapies are usually not documented in writing. Word of mouth is the favored method of transmission of culturally-based information. Stories about alternative therapies also frequently appear in the media, and this is especially true of the ethnic media. As clinically accepted information becomes available, many private and public providers, hospitals, man­aged care plans and federally funded clinics, have incorporated alternative therapies into their practices. They understand how the alternative therapy can serve a complementary role and sometimes their patients demand it. In the American Southwest some years ago, federally funded clinics began to provide clinical space to certain cultural-providers, who served effectively as part of the health care delivery team in that situation. In many places native healers are encouraged to visit their clients in hospital, treating both the physical and emotional aspect of recovery as integrated members of the health care delivery team. Health Science Centers and other schools of allied health professions are now more than ever before implementing cultural competency in their curriculum and teaching students about the realities of cultural-based medical treatments they will encounter in practice. To provide a rational, effective, and personally satisfactory health care system, it is critical that the primary care provider know who is using an alternative therapy and why, as well as something about the therapy. It is critical that providers know how patients are obtaining the information about the alternative therapy they are using and how credible or harmful that information is. The typical patient does not inform their provider about their use of an alternative therapy. Without this knowledge, the provider is not fully empowered to evaluate the alternative therapy Vis a Vis the prescribed therapy and whether the two are compatible, safe and effective if used together. Only in recent decades has there been a serious interest, worldwide, in scientifically investigating and evaluating alternative therapies. The Office of Alternative Medicine within the National Institutes of Health was only established in 1992. The development of baseline information on many complementary and alternative therapies began at that time. But for many important and widespread therapies, the investigation has not yet begun. There remains much to be done in this area. There is a tremendous shortage of skilled practitioners who are knowledgeable about the alternative therapies used in the populations they serve. And there are even fewer providers who are able or willing to partici­pate in the scientific inquiry necessary to establish credible information on those therapies.Outside of the university setting, there is a shortage of receptive and integrated research environments and this fact serves as a barrier to our ability to develop multi-disciplinary teams that include both alternative and con­ventional medical practitioners. These factors contribute to the lack of standardization which must be understood in practice. The decision-making models needed to determine the efficacy of a complementary therapy should be addressed in our practices. However, knowledge about them is severely limited and the concept is not generally accepted. There are virtually thousands of complementary and alternative medical therapies but the majority still require scientific validation and we are years away from understanding them. Modern medical health care professionals now have an opportunity to play a role in our understanding of alternative therapies in the next generation. And it is important that they do so. The fact that science has not validated a particular alternative therapy does not make it any less valid in the minds of the people who employ it. In spite of all that we have learned and after more than thirty years of research, economically marginal and culturally-based populations like Latinos continue to be the least understood. Finkler, Kaja, 1994 Women in Pain: Gender and Morbidity in Mexico, University of Pennsylvania Press, Philadelphia. 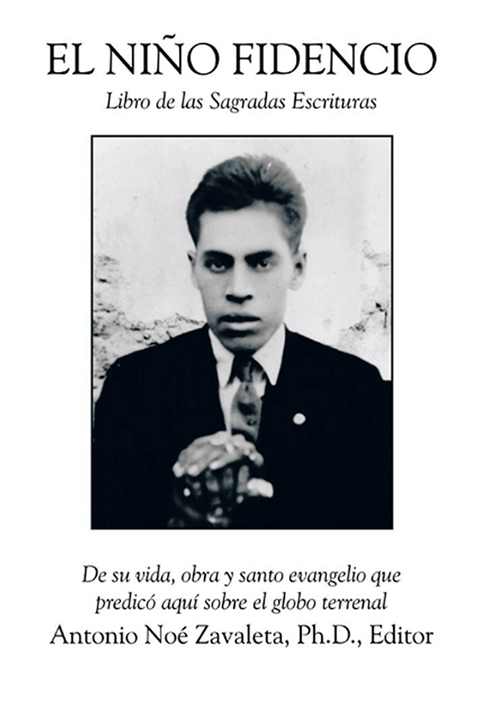 Graziano, Frank, 1999, the Millenial New World, Oxford University Press, New York. Ortiz, Silvia, 1999, La Medicina Tradicional de el Norte de Mexico, Serie Anthropologia Fisica, Instituto Nacional de Anthropologia e Historia, Mexico, D.F. Symposium on Immigrant Health: Special Issue, 1996, Texas Medicine, Texas Medical Association, Vol. 92, No. 10 Austin, Texas. Verbrugge, Lois, 1990, Pathways of Health and Death, In: Women, Health and Medicine in America: A Historical Handbook, ed. Rima D. Apple, Garland, New York. Mitchell A. Kaplan, Ph.D. CPSP is a program evaluation and grant writing consultant in private practice in New York City. Dr. Kaplan received his Ph.D. in sociology from the City University of New York’s Graduate School and University Center. 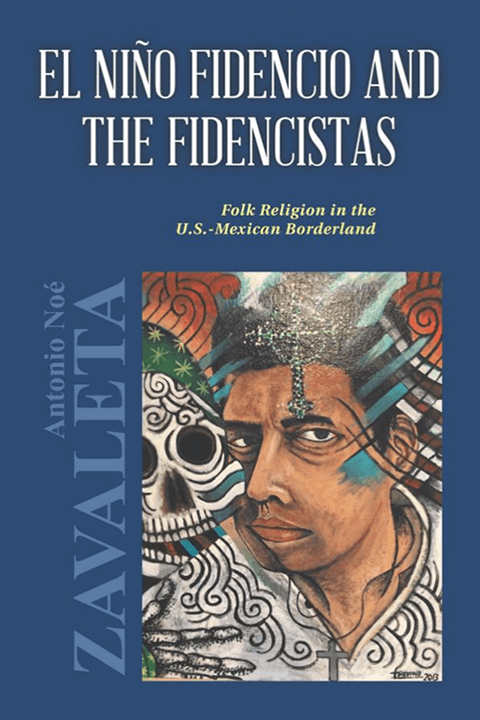 Dr. Antonio Zavaleta of the University of Texas Rio Grande Valley is an applied anthropologist who has studied the connection between medical practice and the cultural traditions of the people of the U.S.-Mexico border for over 40 years. 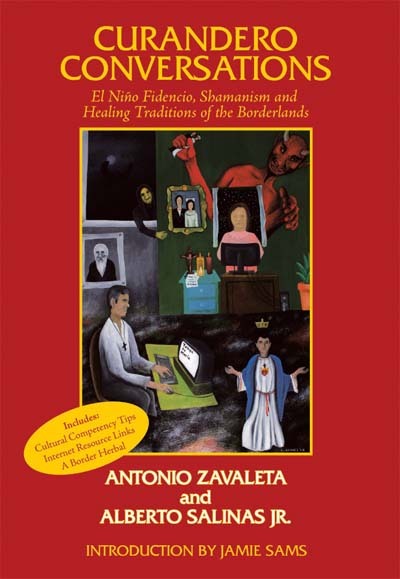 He is one of the nation’s leading experts on folk medicine, a nontraditional form of medical therapy practiced by the folk healers of the borderlands.